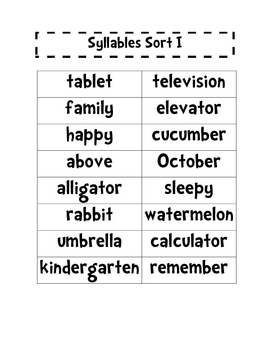 This contains two syllable sorts. One is for 2, 3, and 4 syllable words. One is for 2 and 3 syllable words. 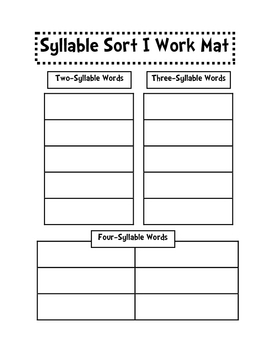 These are great assessment tools to use or you can use them in small groups for word work activities. 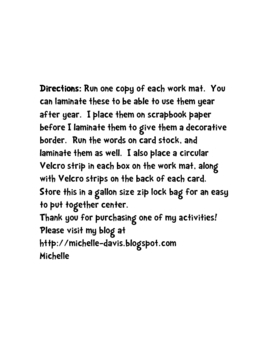 They can be printed on card stock and laminated to use over and over again. Thanks for looking!